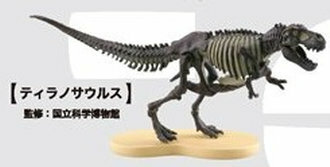 Looks like this one includes the gastralia, making it "beefier" than the previous ones. So the rest of the series includes a Sakura (?) tree, The Thinker, a box with food, a train, a Shakkoudoga, a panda and a giant school girl...any theme to that? I'll give this one a pass, though I like the idea of this set. I just prefer fully prehistoric themed sets. 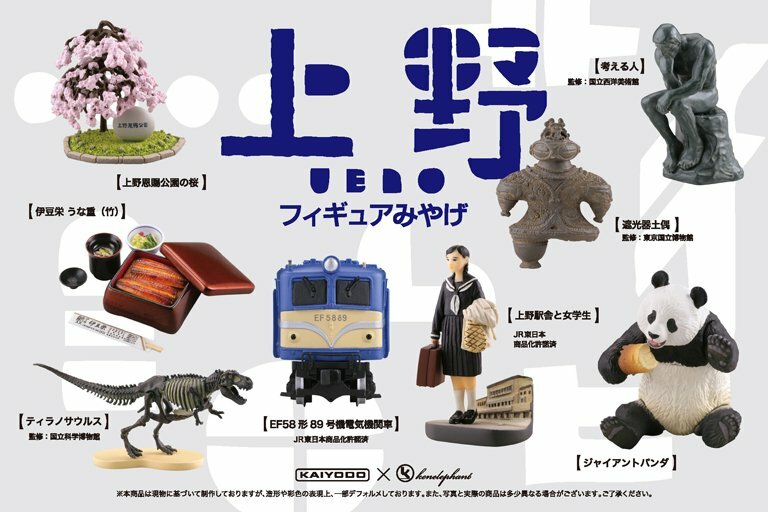 I thought it was a "Culture of Japan" themed set but the Thinker statue and the T-rex dont seem to fit, and pandas are more associated with China. What a random set of figures. I'm not slow! That's just my moe! IIRC The Tyrannosaurus is a particular specimen specifically, so it could represent a specific event or exhibition. This set represents the district in Tokyo called Ueno, they have a huge park in the district called the Ueno Imperial Park. They have various different museums, a few of which are art museums and natural history museums, which explains the Thinker statue and the Tyrannosaurus skeleton. They also have a zoo there, which houses a few pandas, therefore explaining the panda figure. ^ah that explains it then, thanks!